At Manchester United over the past few weeks, there has been one word used a lot regarding their summer transfer plans, and it is not “Griezmann”. It is, instead, “warriors”. Jose Mourinho wants to imbue his United side with a deeper fighting intensity next season, especially in midfield and defence. He wants to bring in at least two types of players that fit that description, with Monaco’s Tiemoue Bakayoko and Atletico Madrid’s Jose Gimenez both fine examples. One issue is that the United hierarchy may have to show similar steel themselves, especially if they are to come through with all their plans, and really bring the team on. 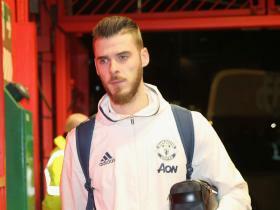 That will also require bringing their approach to the market on, not least in attempting to keep David De Gea. Last summer, after all, was at last an undoubted success for the club – and arguably their most successful summer since 2012 or even 2007. United got all their main targets, got most of them in quickly, and the one that didn’t arrive quickly – Paul Pogba – was the signing successfully turned into the kind of commercial event that made the very purchase an end in itself, while also seeing them lay the important signpost of beating Real Madrid to by breaking the world record in the process. It marked a significant change from previous windows under executive vice-chairman Ed Woodward, and it was difficult not to put a lot of that down to Mourinho’s forensic approach to transfers, and the relative freedom he had finally been given with them to apply his own considerable presence. The plans for this summer have not quite allowed any of that yet, and they don’t look like they’re going to be too forensic right now, even if it is still only March. Club sources say United that – beyond the general desire to bring in a top-class forward, two midfielders, a defender and a winger, two of whom are “warriors” – their specific priorities had been Antoine Griezmann from Atletico Madrid and raid on Monaco for two of Fabinho, Bakayoko and Kylian Mbappe. There’s a bit of difficulty with all of that at the moment. The Griezmann situation is ever-changing, however, and could end up even more convoluted than the Pogba saga. Right now, it feels 50-50, as it could really go either way. There are also few obvious alternative buyable options of the required standard, although Mourinho is also said to admire Torino’s Andrea Belotti. Fabinho is still a strong candidate to come but United now face considerable competition from Chelsea for Bakayoko, and considerable competition from the rest of the world for Mbappe – one of the players who could be an alternative, and perhaps an inevitable superior, to Griezmann. Real Madrid have already been laying it on particularly thick for the 18-year-old, with even captain Sergio Ramos talking up the prospect, and it remains to be seen how hard the European champions will go for De Gea too. This is the other aspect complicating United’s summer plans. 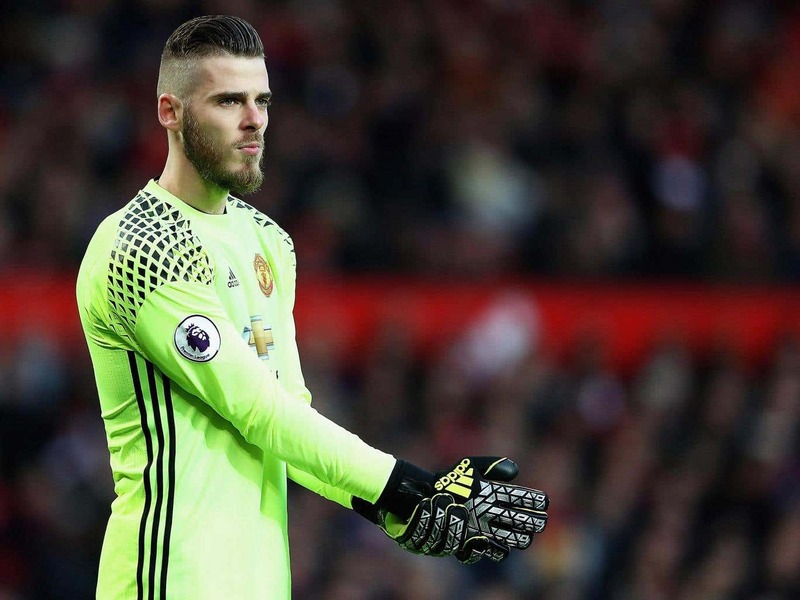 Just at the point when they are marking themselves out as one of the properly big fish of the market – the “sharks”, to use Mourinho’s own word – and have one of the best goalkeepers in the world who you would never want to replace, they may again face the prospect of losing him to the biggest shark of all in Real. It would arguably create all the greater a need for a marquee name, given how important commercial perceptions are to hierarchy now, and how key that is to their business plans. United have at least started investigating replacements in Internazionale’s Samir Handanovic and Milan’s highly-rated Gianluigi Donnarumma. The latter is likely to be a marquee name in future no matter what happens. One card that may tilt things, though, is that Mourinho remains such a huge admirer of his former Real player Raphael Varane. The Portuguese sees him as ideal for that defence, and a potential alternative to Gimenez, if one more difficult to buy. That could provide leverage if De Gea is intent on leaving, and United want to play hardball with Real. As it is, their transfer plans are a little open-ended. Mourinho and his team will continue to survey the situation until the end of the season, and how they finish that season could itself dictate things. Champions League qualification would help, especially with some of the bigger names, but is not essential. It is more important the club harden their image as one of the main forces in the market, that they are not a club you want to go to war with when it comes to transfer campaigns.